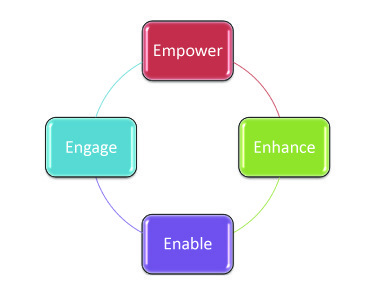 An "engaged employee" is one who is fully involved in, and enthusiastic about their work, and thus will act in a way that furthers their organisation's interests. According to Scarlett Surveys, "Employee Engagement is a measurable degree of an employee's positive or negative emotional attachment to their job, colleagues and organisation which profoundly influences their willingness to learn and perform at work". Thus engagement is distinctively different from employee satisfaction, motivation and organisational culture. Research from the Department for Business Innovation and Skills (Sept 2010) finds that dis-engaged staff are 16% less productive than those who are engaged and that only 29% or employees are energised and committed to work. If you recognise any of these symptoms in your organisation contact us for an Employee Engagement Health Check to identify your staff motivations and re-energise and re-engage your staff.